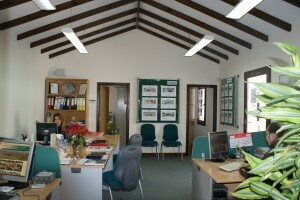 About Holmes Property Sales S.L. With offices in the heart of Sotogrande, Holmes Property Sales is Sotogrande’s longest established Sotogrande real estate agency headed by an experienced, dynamic and progressive management team. Always available, always there, Ian, Jackie and Ben Bateman are assisted by a friendly, professional and efficient multilingual team. 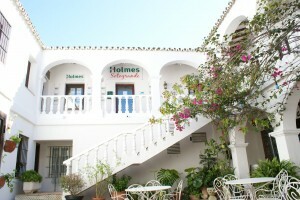 With over 30 years dedicated to the sale of luxury real estate exclusively in and around the Sotogrande area, Holmes Sotogrande has not only built up an excellent reputation for the highest levels of customer service, expert advice and knowledge, but has also become the definitive property expert in the area. Holmes Sotogrande is exclusively dedicated to property sales in Sotogrande and the surrounding area, providing a totally impartial and professional service when buying or selling luxury property. Whether you are looking for a holiday home, property investment or permanent residence, Holmes Sotogrande has an extensive range of excellent value properties to suit all tastes and budgets in and around Sotogrande. The exclusive area of Sotogrande is home to superb new developments, luxury villas, apartments, townhouses, plots and rustic inland properties. In addition to the sale of exclusive property in Sotogrande, Holmes Sotogrande can also offer buyers the purchase of berths, golf and beach club shares. At Holmes Property Sales, all properties for sale in Sotogrande and the surrounding area are marketed through a worldwide network of independent agents and supported with regular advertising in appropriate local and international publications and via the internet. Holmes Property Sales in Sotogrande is proud to be a founder member of The LPA, The Leading Property Agents of Spain. The LPA was set up after almost two years of in-depth research, trial marketing and co-operation by six leading independent real estate agents in southern Spain. LPA was established by founder members Holmes Property Sales, Diana Morales Properties, Marbella Residences, Panorama, Fincas R. Germaux and Villa Marketing. The LPA is today a well-established and reputable association of real estate agents in southern Spain who all adhere to a strict code of ethics and offer the highest levels of service to their clients and to agents within the group. Through the LPA, Holmes Property Sales in Sotogrande and its associated agents, work together to present their clients the widest portfolio of properties and offer vendors the maximum amount of exposure for their property through the sharing of listings. As a founder member of The LPA, Holmes Property Sales and all the associated members are professionally qualified agents – of which some are the longest established businesses in Southern Spain. Holmes Property Sales in Sotogrande is dedicated to offering the complete real estate service to buyers and sellers in Southern Spain and has satisfied the needs of many clients.